Unlike the founding of the Massachusetts Bay Colony, which was for religious reasons, the founding of New Hampshire was one of economics. The Council for New England, a group of nobles, knights and wealthy men, was seeking to exploit America for it's own purpose. Captain John Mason, a member of the council, was given multiple charters for large tracts of land which he intended to settle, and eventually profit from. This land was to become New Hampshire. Some of first settlers sent by Captain Mason arrived in 1622, lead by a Scotsman named David Thomson, this settlement was called Pannaway or Little Harbor. Another group of settlers, headed by the Hilton brothers were in Dover, they were there possibly as early as 1621. Between 1624 and 1629 England, and Captain Mason, were engaged in the business of war. Mason was a high ranking Naval Officer and was unable to focus on his settlements until the end of hostilities. 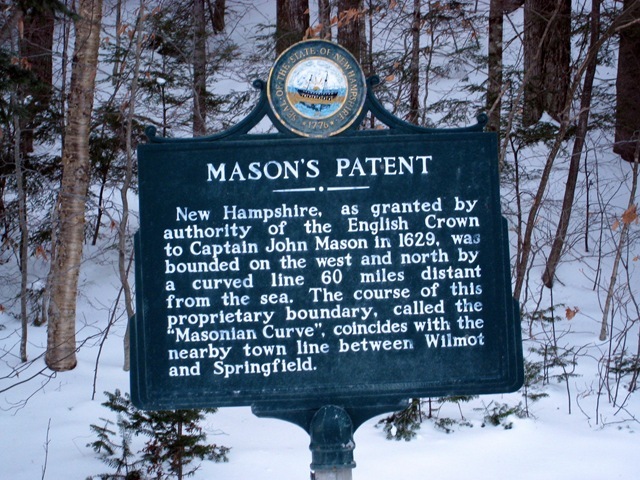 Mason was given a new patent of land which he named "New Hampshire". In a list entitled "The names of stewards and servants sent by John Mason, Esq. into this province of New Hampshire" was the name John Ault. This list would have to have been complied prior to the death of John Mason in 1635. In 1652 John Ault in a deposition, testified to events in 1635, placing him in New Hampshire at that time. Captain Mason had several men who represented his interests in New Hampshire. One of these men, Captain Thomas Wiggins, after several years in America, returned to England to recruit more settlers. Henry Tibbetts, along with his wife, two children and his sister Remembrance were among the new settlers sent by Wiggins. They sailed on "The James", leaving London in June and enduring a 12 week crossing. By 1640, based on the birth of their first child, John Ault and Remembrance Tibbetts were married. Remembrance and John would eventually sue Wiggins for back wages, Henry, her brother, testified as well. The plantations of New Hampshire: Dover, Exeter, Hampton, and Portsmouth were independent units of government. They formed a coalition between themselves and tried out various forms of government, until finally, voluntarily, coming under control of the Massachusetts Bay Colony. In 1640 the men of Dover signed the Dover Combination, but Oyster Rivermen were not included, or refused to sign. Records seem to be scarce until after the joining up with Massachusetts. Most records were lost prior to those dated 1648. A good way to trace the life of men and women of this era is through land records and town records. In 1647 Dover appointed a town recorder and in 1648 he recorded the town rate and how much each man was assessed. John Ault of Oyster River was on that list. This rate was not paid in cash but in commodities such as corn and pipe staves. John was still on the rate list in 1675, but not after. John Ault was given 10 acres of land before 1642 by Thomas Larkham. He sold land on 10 April 1645. He also received 80 acres of "ye great cove above needums poynt, 40 rods in length above ye cove". This was on 10 August 1653. He did not live on this land and eventually sold it in 1670. John, like most men at the time, seems to have acquired and sold land fairly regularly. He eventually split his land between two of his daughters Remembrance and Rebecca. On April 3rd, 1674 John sold to his son in law Thomas Edgerly one fourth of an acre of land at the west end of a field called Hilliards. 21 April 1674 John Ault conveyed to John Rand " all ye place or plantation whereon I now live". John was required to do his civic duty and was chosen to the Grandjury in 1664,1667, and 1670. He was the constable in 1657. Elizabeth Gils was presented to court for call John, Constable ROGIE. I guess that was not a nice thing to call him. 1. Rebecca b. 1641 m. Henry Hallowell in 1660, m. 2nd Thomas Edgerly in 1665 (Rebecca was still alive in 1711). The dates of death for John Ault and Remembrance Tibbetts Ault are unknown. I cannot find any record of a will being probated, possibly because John had already given his land to his daughters. In 1675 he was around 75 years old, a pretty good age at that time. It seems likely that he lived with one of his daughters until his death. The map below is of the Oyster River Plantation area. The red arrow points to the Rand and Edgerly Garrison Houses. This land was all owned by John Ault. His property was bordered by the Plum Swamp Creek to the North, the Little Bay on Oyster River and to the south Long Creek. He divided his land between his daughters. History of the town of Durham, New Hampshire (Oyster River Plantation) with genealogical notes,by Everett S. Stackpole and Lucien Thompson.